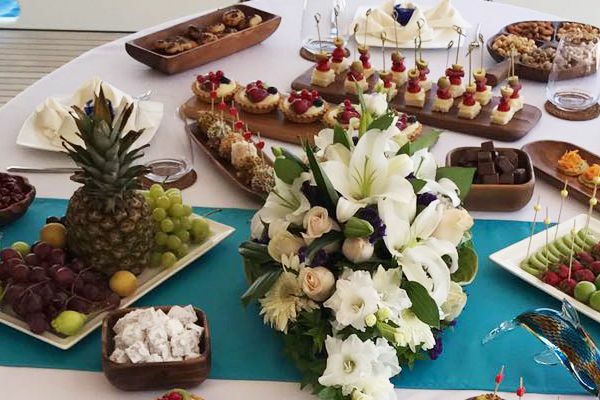 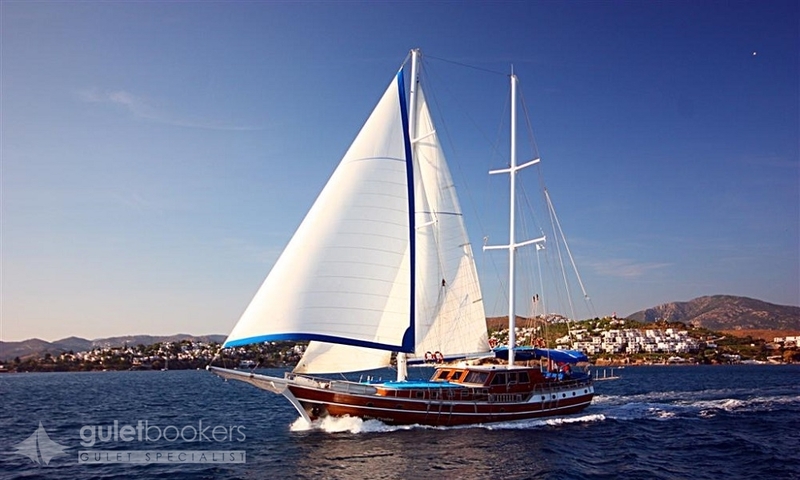 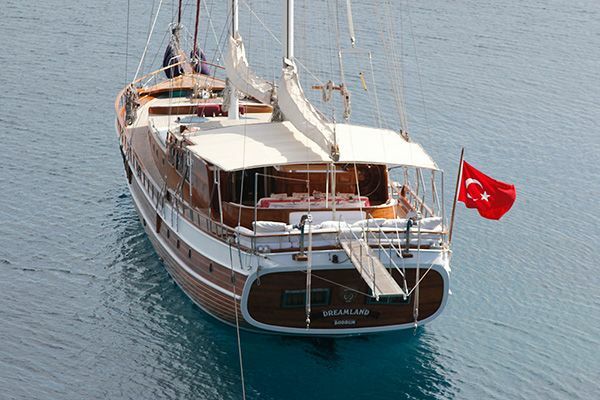 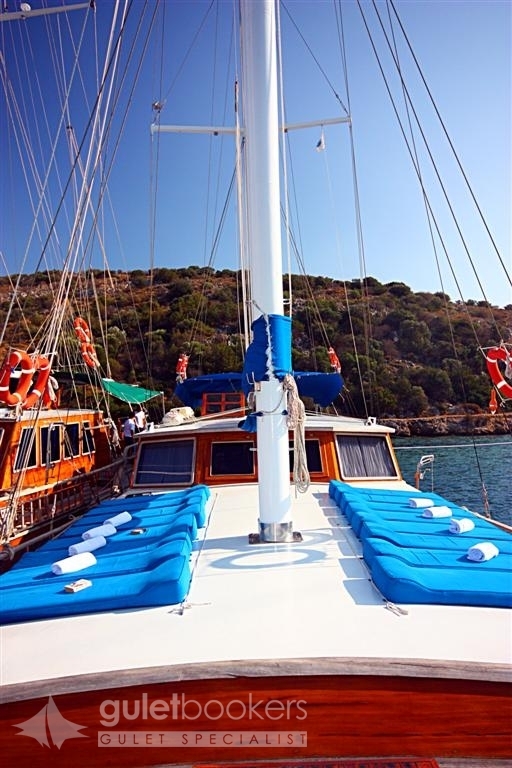 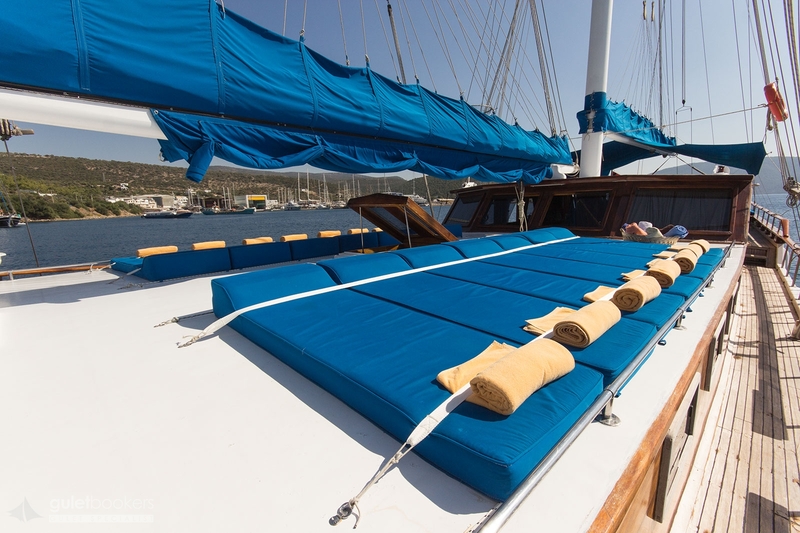 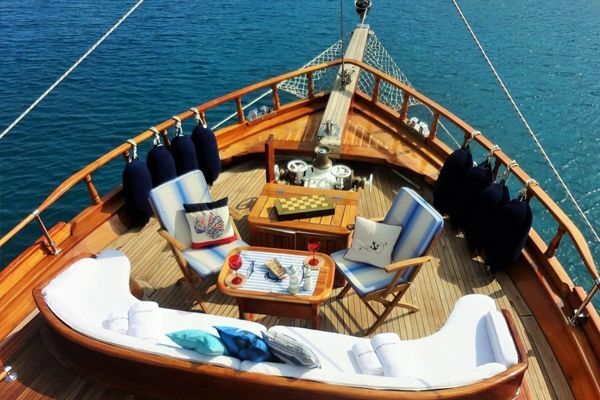 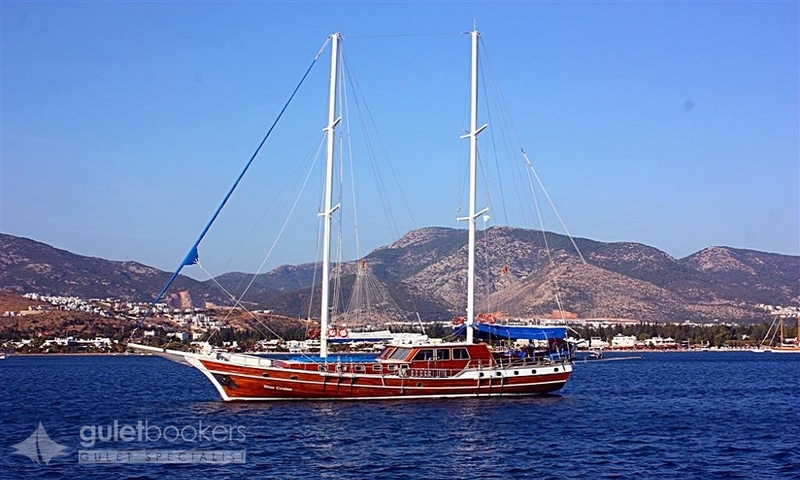 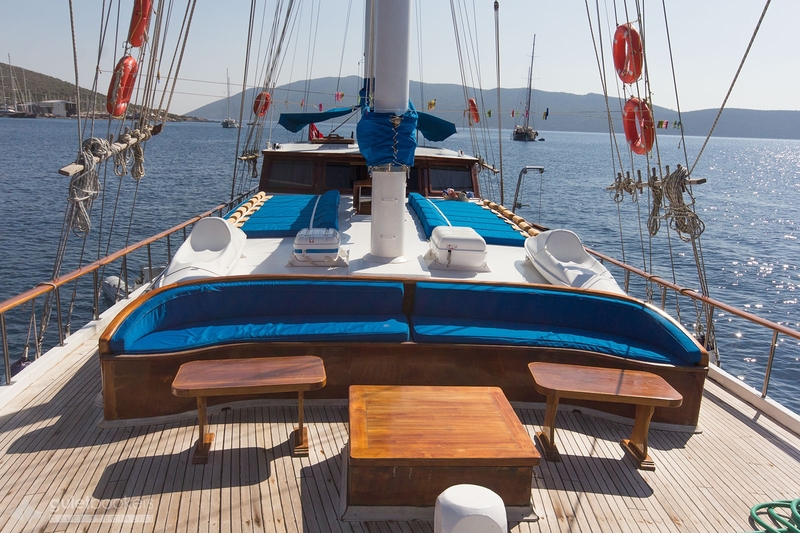 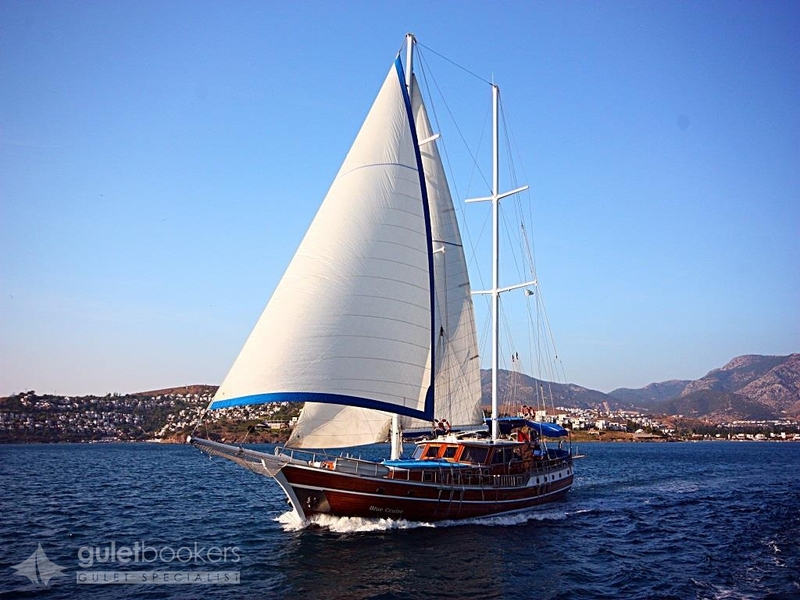 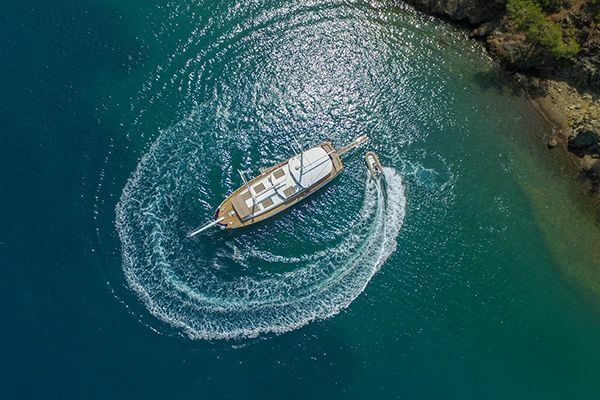 The Blue Cruise standard gulet takes the name of the traditional blue cruise style route it does so well, bay hopping along the Turkish coast from Bodrum with groups of up to twenty guests who will enjoy an informal relaxing holiday afloat while having great fun with friends. 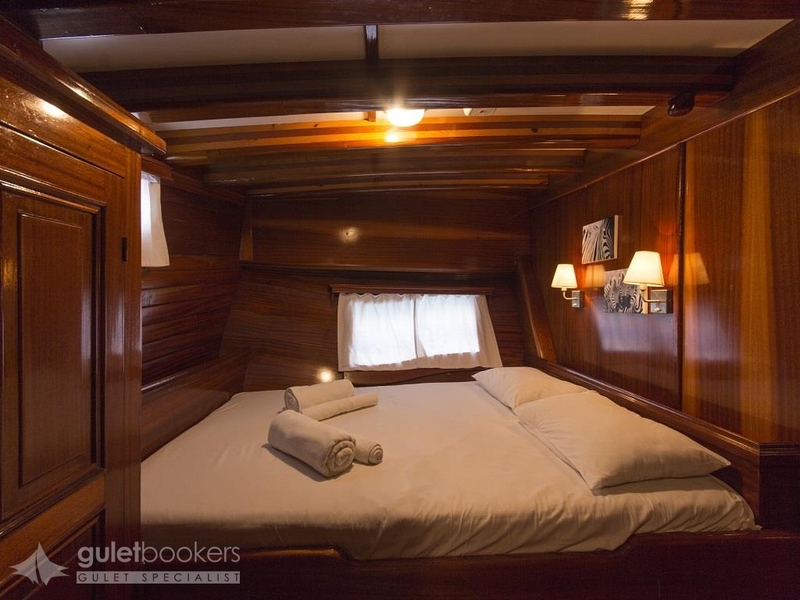 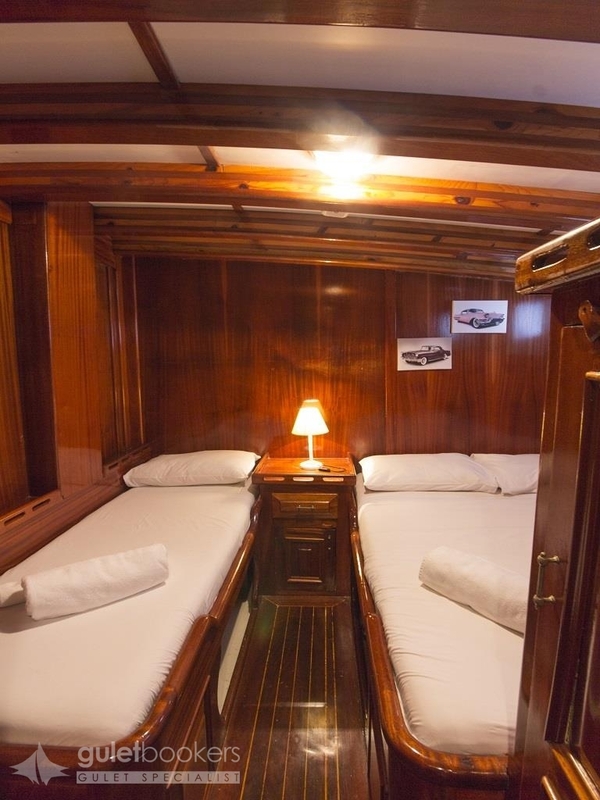 In the 27m long hull of the sailing Blue Cruise gulet there is a shower/bathroom for every one of the eight neat, clean and compact cabins, four double bed cabins and four double plus single bed cabins, all of similar size, and equally divided between the bow and stern of the wooden yacht making it so ideal for a group sharing the gulet charter. 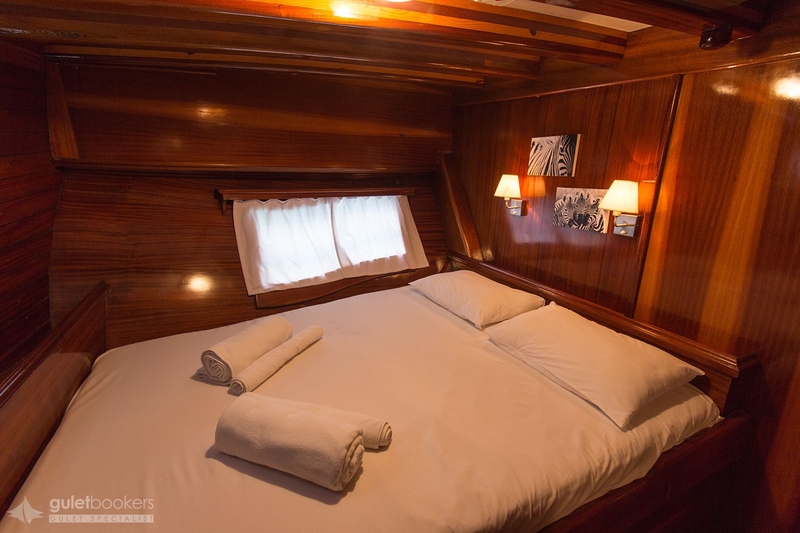 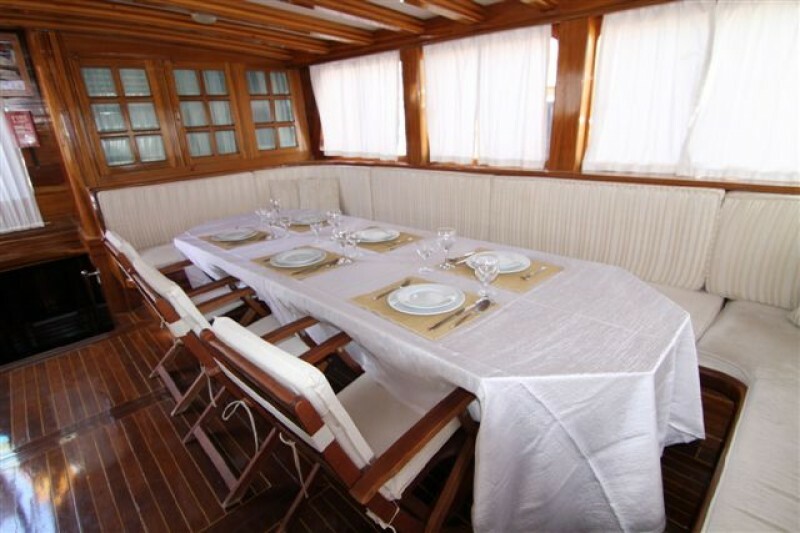 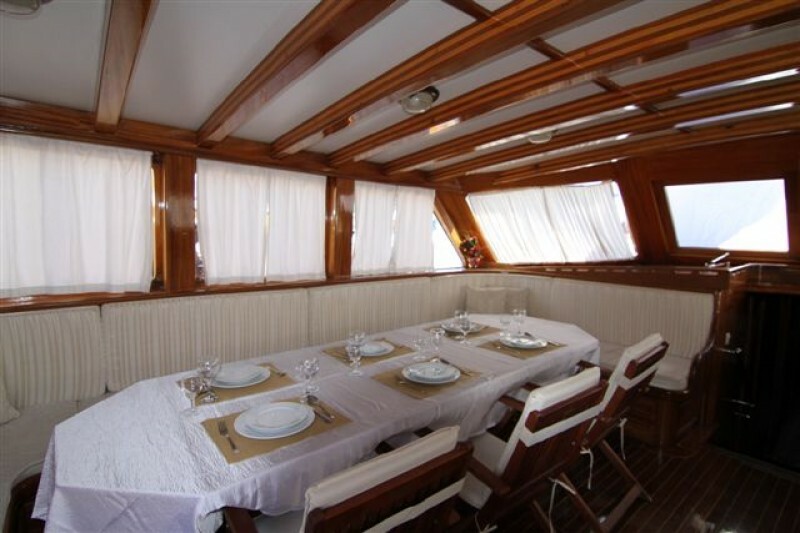 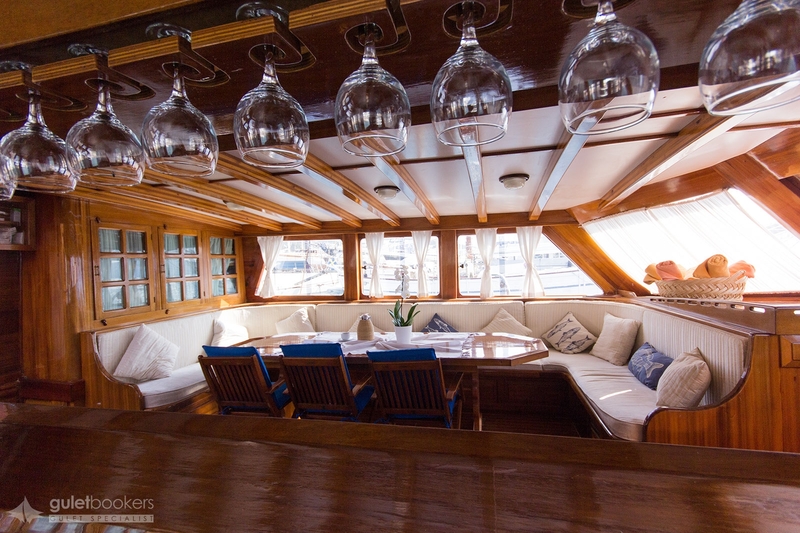 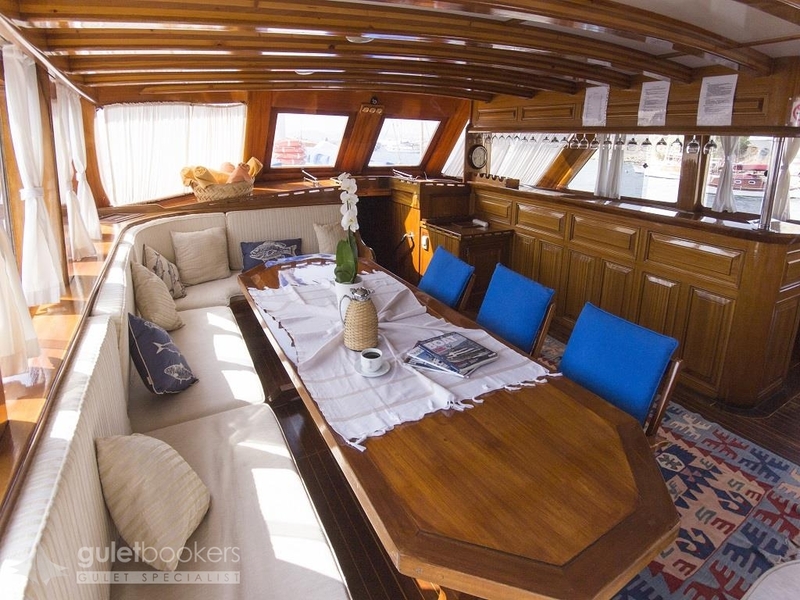 The spacious deck on Blue Cruise yacht allows for plenty of sunbeds on the foredeck, and on the shaded aft deck room for both the comfortable cushioned bench and the dining table, with two more seating and dining nooks in the indoors saloon. 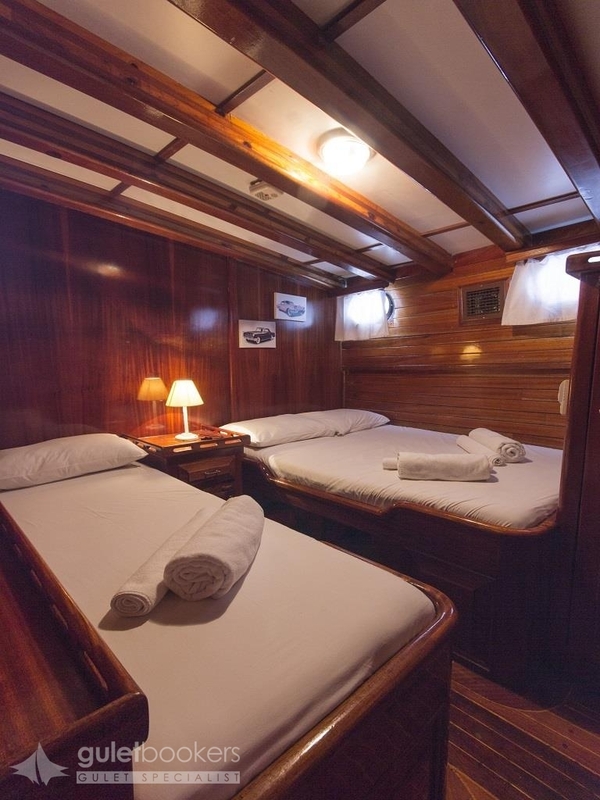 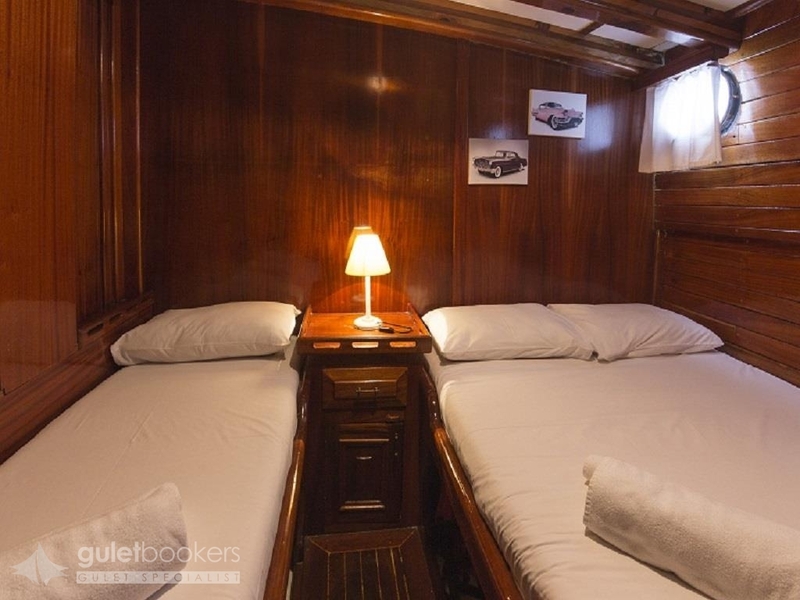 Air-conditioning is available throughout the saloon and the cabins. 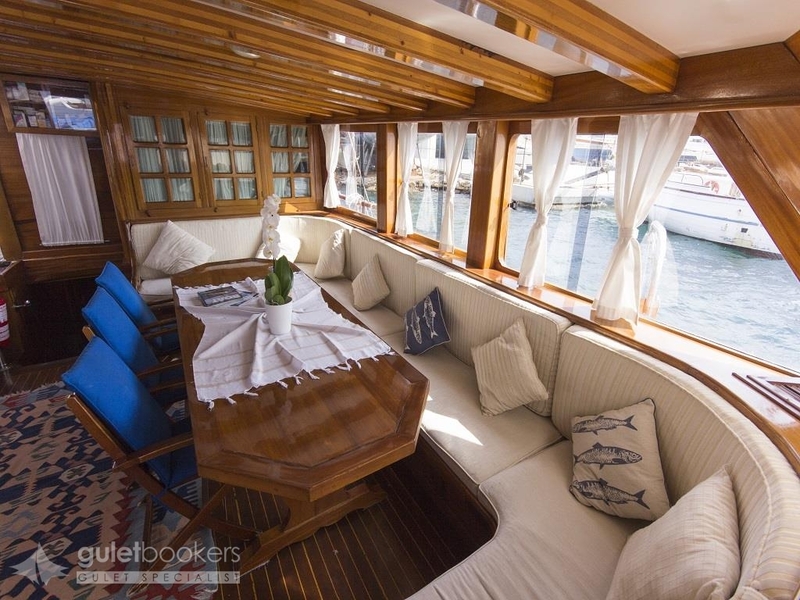 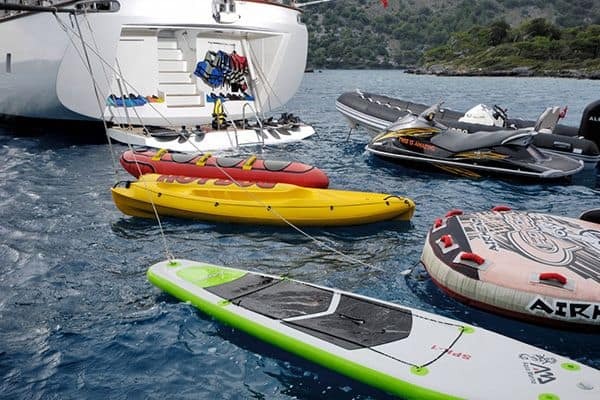 For entertainment a TV/DVD system, internet and connections are installed in the saloon, while for the active people a windsurfer, canoes and snorkels are on hand to help them get into the turquoise blue water for all the water sports fun they might wish for. 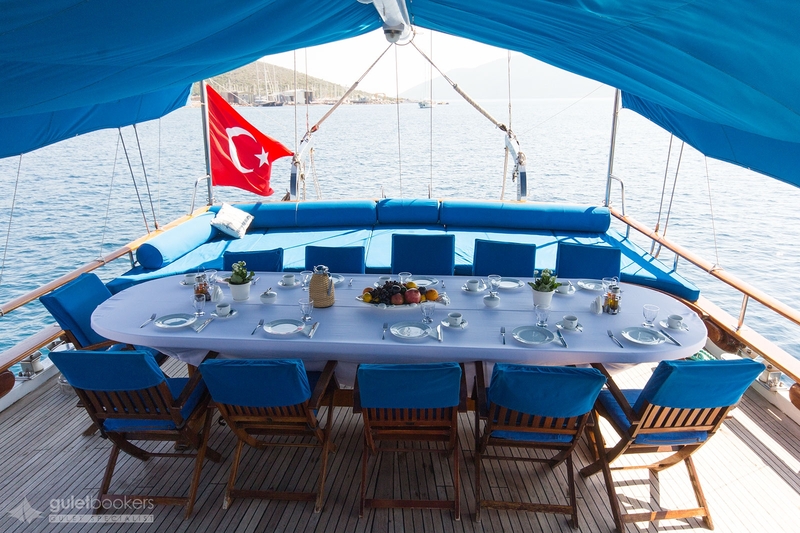 The friendly crew of captain and three sailors prepare all the meals with service, bar service, and clean and sail the boat, while helping with guest activities. 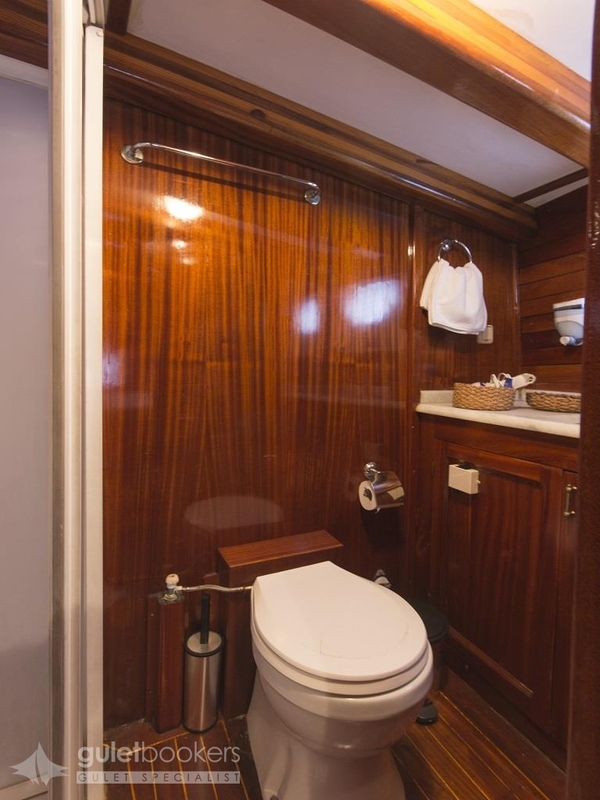 The crew has separate quarters. 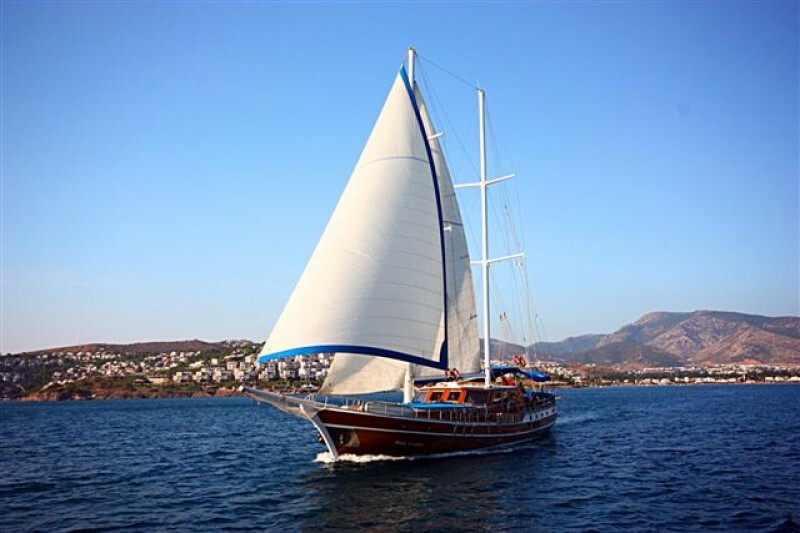 A group will come home with fantastic memories of a delightful holiday cruise with great service for excellent value on the gulet Blue Cruise.